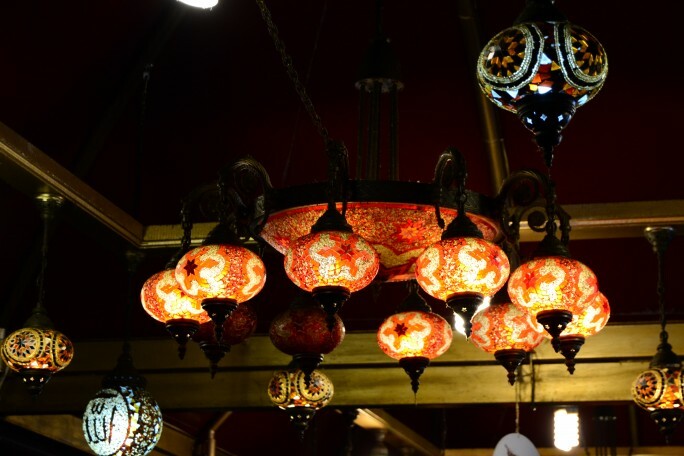 Living in Istanbul has proven to be a big change in my life. Not only am I now living between two continents – enjoying the perks of Asia while retaining the commodities of Europe, – but especially I am now adjusting to a city of millions of people. An overcrowded, huge exciting city instead of the peaceful calm town where I used to live in Portugal. I’m visiting local Turkish tourist attractions and finding unique local spots as I explore my new home. 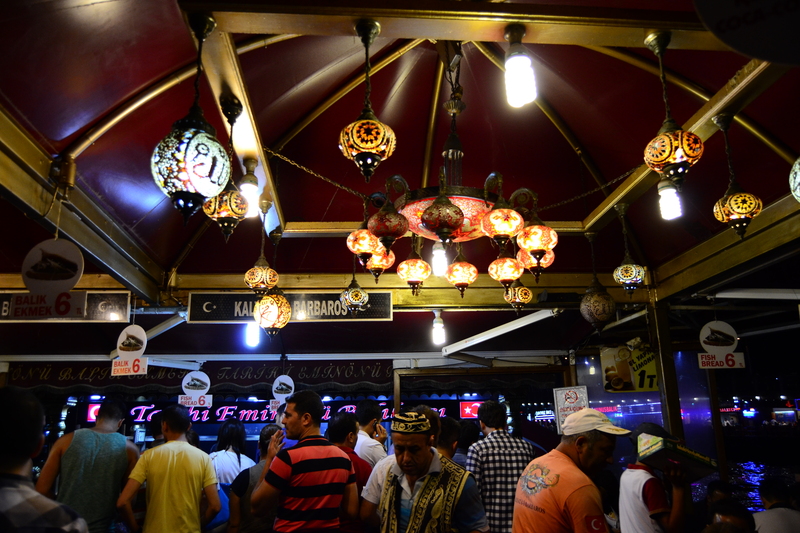 That also means that every time I leave the house I end up trying something new – this week I treated myself to a healthy (maybe not) iconic and dare I say one of Istanbul’s favourite street foods. 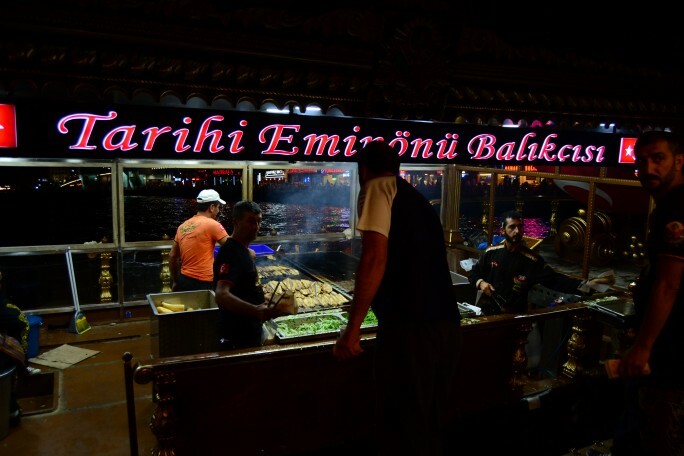 The famous fish sandwich can be found in the very well-known neighbourhood of Eminonu – and not only will you be treated to one amazing snack for a very competitive price, you will be enjoying it while appreciating some of Istanbul’s best views. You will have to stop to truly appreciate it as with hundred of people next to you, all trying to order the 6 TL snack it might be hard. Give yourself time to truly admire your surroundings and even notice the kitchen-boat. If yu are lucky to arrive in the right time you might even be treated to fire-works. Istanbul is full of surprises – and great food. I am always glad to be able to put the two together. Even if you don’t really like fish – or street food – please try this one. 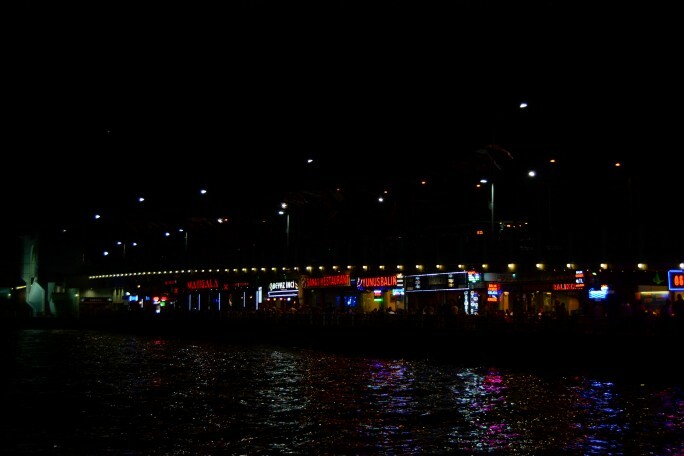 The fish is fresh (you will see a lot of people fishing nest you on the Galata bridge as you eat) – and the experience is worth it. Then maybe you can tell me what you thought of it.